DEGIRO is a Dutch broker that offers the trading of stocks, futures, and other instruments on approximately 100 stock exchanges worldwide. Some of the order fees are considerably lower than that of almost all competitors. For safety reasons, the broker keeps the customer deposits separate from its business accounts. In regards to its trading platform, DEGIRO relies on an innovative proprietary platform, which has been equipped with all important functions. In addition, the broker now also allows for trading on the go thanks to its WebApp. In our DEGIRO review, the conditions for trading on spot and forward exchanges as well as off-market trading were at the centre of our evaluation. In this regard, the broker did extremely well: The fees are well below those of most German competitors. The fee for the trading of shares via the electronic trading platform Xetra amounts to €2 plus 0.008% of the transaction volume, but no more than €30. An order with a market value of €10,000 is thus associated with a fee of €2.80. This is significantly less than the industry average. An Anglo-Saxon fee model is applied to trading on US stock exchanges. The charge is €0.50 plus $0.004 per share. The fees for trading on the Canadian stock exchanges are comparable, wherein €2.00 plus Canadian $0.01 per share are due. When trading on most European stock exchanges, €4 plus 0.04% of the transaction volume, but no more than €60 are due. This fee structure applies to the stock exchanges in Austria, Belgium, Denmark, Finland, France, Great Britain, Ireland, Italy, Netherlands, Norway, Portugal, Sweden, Switzerland, and Spain. When trading at the Australian, Hong Kong, Japanese, and Singaporean stock exchanges, €10 plus 0.05% of the transaction volume are due. When trading Malaysian, New Zealand, Taiwan, Indonesian, Greek, Mexican, Turkish, Hungarian, and stocks from the Czech Republic, €10 plus 0.15% are due. For trading Polish stocks, the applicable fees amount to €5 plus 0.15%. For trading in India, €10 plus 0.2% in fees are due. For the stock exchanges in Indonesia as well as in India, Malaysia New Zealand, and Taiwan, additional service fees are due, which might amount to 0.25% (India), for example. The trading of certificates at the Frankfurt Stock Exchange costs €2 Euro plus 0.1% of the transaction volume. For trading Eurex futures contracts, €0.75 per contract are due. DEGIRO claims that prices are cheaper than those of other online brokers. Exchange-traded index funds (ETFs) can be traded for €2 euros plus 0.02% – on all exchanges worldwide. At DEGIRO, there is a list of 700 ETFs that can be traded at no charge: Customers can buy or sell one ETF from the list per calendar month without incurring any order fees whatsoever. However, the other order fees will not just be appealing to active traders: The Dutch broker offers cheap fees for trading in general. In comparison to the competition, this means that trading is not only cheaper on domestic stock exchanges, but trading at international markets is as well. This confirms the broker’s excellent score in our DEGIRO review. The range of stock exchanges and underlying assets is decisive for our valuation of any broker: Since it is particularly active traders that are relying on DEGIRO, a broad catalogue of underlying assets is essential for all strategies based on mechanical trading signals. The broker lists a total of 82 trading centres: 15 for trading futures, 6 for bonds, 11 for options, 2 for CFDs, and 48 for equities. Not all listed stock exchanges are actually available, but the broker has announced the expansion of its offer online. Various trading centres will soon be available so that traders can also choose the Tel Aviv Stock Exchange, the Shanghai Stock Exchange, or the BM & FBOVESPA for trading. The large selection of stock exchanges exceeds the offering of many competitors. In combination with the relatively affordable fees for trading at some of the more exotic stock exchanges, the broker thus qualifies as an excellent address for investors do not just wish to trade at the lead markets. The type of orders available on the trading platform also had to be taken into account in our broker review: The number of order types increases the tactical possibilities in active trading as well as the precision in the semi-automatic implementation of mechanical trading strategies. For the latter, stop orders are relevant, for example: They mark a price level, at which a purchase or sales order is automatically triggered. Stop orders are used in connection with exit strategies, for example. The market order, limit order, stop limit order, and stop loss order types are available. There are also so-called join orders, which can be placed for all products except investment funds. According to the price list, investors receive a discount of 5% of the variable fee when a join order is placed. The discount applies exclusively to shares and the cumulative rebates are credited to the customer’s account at the end of a calendar quarter. What are these so-called join orders? A look at the guidelines for order execution (Austrian version) provides further details. A join order is valid for a trading day and is not forwarded to the exchange. When placing a join order, the customer states the number of base points, which is required for a purchase order below the market money rate. What is so special about this kind of order is that the execution of the order only takes place when another DEGIRO customer places a counter-order that can be executed against the join order. At best, this procedure avoids the bid/ ask spread altogether. Overall, the trading platform’s order functions thus are a big plus in our DEGIRO evaluation – the broker leaves nothing to be desired in this regard. This kind of specialization can certainly be considered a big plus. The trading and portfolio functions compensate for the deficits in the field of technical analysis. The order book depth is high, the real-time rates, many of which are available for free at the European level, are reliable, and a list of favourites displays the important trading instruments ​​at any time. In any case, third parties can carry out technical analysis if desired. Usually, this is not associated with any costs and switching between DEGIRO and a third-party provider is not a problem at all. In addition, it must also be pointed out that the broker offers a so-called WebApp. This app allows traders to manage their portfolios on the go, which is a great plus in our DEGIRO review. The regulatory environment in the Netherlands is comparable to that in Germany or the UK and is therefore a big plus in our DEGIRO assessment. In terms of the deposit guarantee, DEGIRO offers some special features as the broker insists on an unconventional, yet very safe model. This is actually the case. The money is considered a so-called special fund. It is thus kept separate from the company’s assets. The big advantage: In case of DEGIRO going bankrupt, creditors do not have access to these funds, wherefore the customer deposits are completely protected. Traders who want to develop or implement mechanical trading systems will not be given this opportunity at DEGIRO: The broker does without a corresponding offer and does not allow for social trading either. There is also no API for the use of trading signals from external sources. However: DEGIRO mostly caters to traders who do not want to use automated trading anyways, which would cost the broker a lot of money. At DEGIRO, a favourable commissions structure is what really matters, wherefore the broker deliberately dispenses with such expensive extras. The so-called Auto FX function is not a means of mechanical trading either, while it is very useful nevertheless. 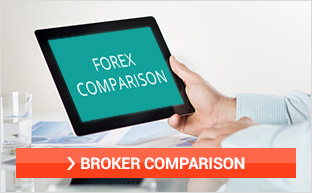 This function simply allows for the conversion of investments into a foreign currency. If the function is activated, the transaction amount is automatically converted to the foreign currency when you buy securities in a foreign currency and converted back to the local currency when you sell these securities. A fee of 0.1% of the transaction value applies. 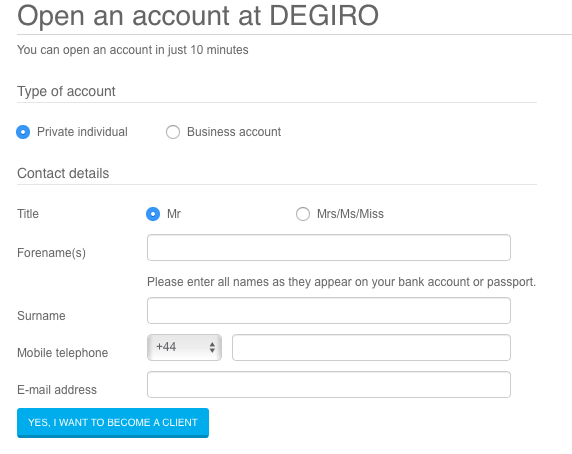 he uncomplicated and fast account opening procedure is another plus in our DEGIRO review: Thanks to an identification check based on the customer’s existing bank account, new accounts are accessible within a few minutes. However, this requires you to choose the Sofortüberweisung.de payment method. Alternatively, you can opt for commercial bank transfers, which leads to the account opening or capitalization being delayed by a few days due to the usual banking hours. There is no minimum deposit: At least €0.01 have to be deposited for the identification check to be carried out. There are no account fees. It is possible to open community, business, and minors' accounts. In addition to a declaration of consent to the General Terms and Conditions, a copy of the ID card of the managing director or owner, a copy of the company's statutes, and a statement from the commercial register are necessary for the opening of a business account. The broker agrees to open business accounts within 3 days. 8. The Broker and Its Competitors: A “Game Changer” from Holland? Thus far, DEGIRO has fully met these expectations and its own requirements. It might sound unusual for a newcomer without scaling advantages to be considered a game changer in a market with the cost structure of the securities business. However, the concept of the Dutch company has convinced us completely and DEGIRO has been able to achieve strong growth. The company now employs more than 150 people and serves customers in 18 countries. The trading platform carries out annual transactions with a total value of approximately €30 billion on 100 stock exchanges worldwide. Hence, the future is certainly looking bright for DEGIRO. The broker is attributed a special status in its industry, which will be difficult to discard without the need to move away from the standard borrowing of securities and the cash fund model. DEGIRO, however, is not at all willing to become just one of many ordinary brokers. The company is not comparable to traditional banks and is a rather innovative FinTech company – with great cost advantages for all traders. Its founding in 2008, i.e. at the high point of the financial crisis, also speaks for DEGIRO. After all, despite the crisis, the broker succeeded in regaining the customers’ trust because the company does not follow the classic path of a bank. 9. What about Additional Services and New Customer Offers at DEGIRO? Bargain hunters will love this aspect of our DEGIRO review: Although there are no new customer offers or special premiums, the Dutch broker offers 700 ETFs at no charge. Traders can buy or sell any one ETF from the selection list free of charge once a month. The list can be found on the well structured and clear website with just a few clicks. Previously, various promotions were part of DEGIRO’s brokerage offering. In the spring of 2016, the broker offered a promotion worth up to €1,000, for example. As part of this promotion, the broker reimbursed €10 of daily transaction fees for 100 trading days. If any transactions took place, the transaction fees (up to €10) were credited to the customer’s account during the following month. Of course, these kinds of promotions only pay off for active traders. In order for this promotion to be more attractive than cross-subsidized daily interest rates or tablet PCs offered by the competition, several hundred transactions need to be carried out before the end of the respective promotion. There currently is no customer referral program. However, you should keep in mind that DEGIRO offers rather favourable trading conditions. Therefore, the broker does without expensive trainings or a demo account, while lots of useful information can be found on the website. Moreover, the customer support team is available to all traders with further questions or in case of any uncertainties. Those who are interested in giving DEGIRO a try and are looking for English-speaking customer service should know that this Dutch broker offers just that. The customer service team can be contacted by e-mail at any time. From Monday to Saturday, you can even call the support hotline around the clock. However, DEGIRO does not offer a live chat just yet. 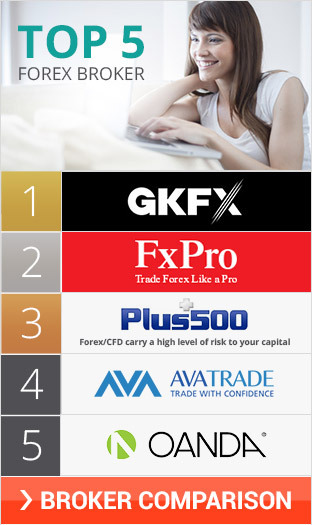 Questions submitted by e-mail are usually answered within one trading day. The broker’s website largely dispenses with unnecessary design elements and is therefore easy to navigate. All important documents are grouped together on a single page, which is accessible from the main page with just a few clicks. DEGIRO is very transparent. For example, the price lists are available for viewing and the help-centre search bar provides the correct answers to the customer’s questions. The fees are much lower than that of most competitors and are thus considered the biggest plus in our DEGIRO review. As such, DEGIRO is suitable for all traders regardless of their individual level of experience. After all, such cost reductions can generate enormous yield advantages in comparison to other brokers. At DEGIRO, customers do not have to do without great service. DEGIRO is always easy to reach via e-mail and via its customer support hotline. The trading platform has also been able to win us over thanks to its good usability, although there is no possibility for automated trading. In terms of safekeeping customer deposits, DEGIRO can point to the Dutch regulation scheme and the separate deposit of corporate and client assets – money can hardly be managed any more securely.